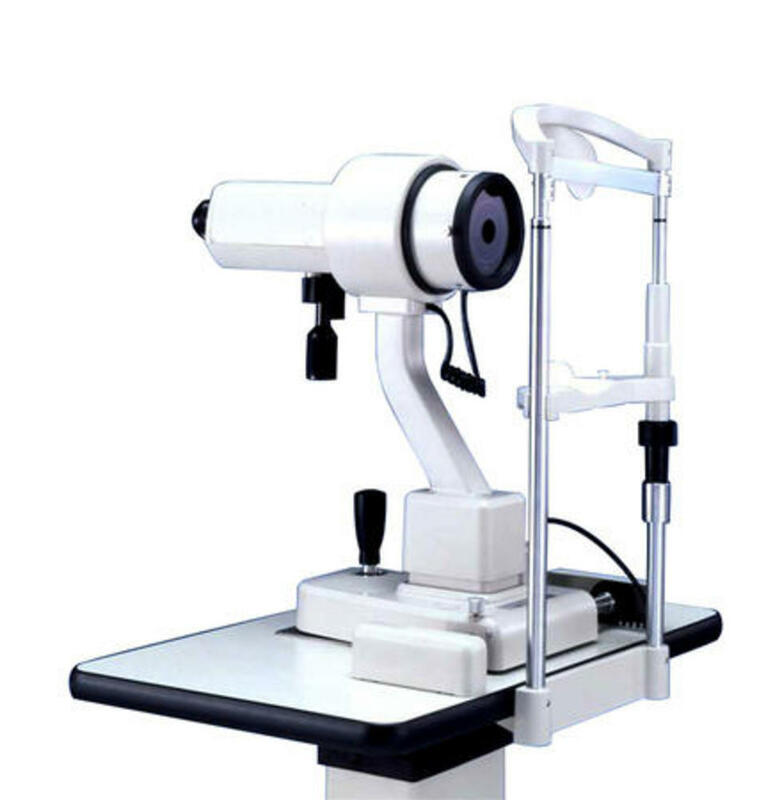 A professional instrument for precise objective measurements of the corneal radius and the radius of contact lenses, compactly designed and very easy to use by one hand operation. Besides the mire images the millimeter scales for the radius of curvature and the diopter scales for the corneal refractive power, of both vertical and horizontal axes, are viewed at all times in the field of view, this greatly speeding up measurements. Horizontal displacement of the mire images indicates existence of astigmatism and the axis rotating handle is used to coincide the measuring head with the axis, after which the vertical and horizontal knobs are used to coincide the mire images, showing the great ease and simplicity of one position measurement.